This game by Carl Chudyk is a journey through innovations from the stone age through modern times. 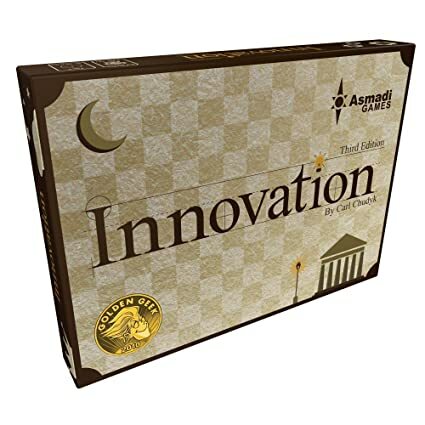 Each player builds a civilization based on various technologies, ideas, and cultural advancements, all represented by cards. Each of these cards has a unique power which will allow further advancement, point scoring, or even attacking other civilizations. Be careful though, as other civilizations may be able to benefit from your ideas as well! To win, you must score achievements, which you can attain by amassing points or by meeting certain criteria with the innovations you have built. Plan your civilization well, and outmaneuver your opponents, and with some luck you will achieve victory! 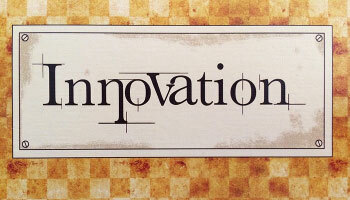 Innovation is a game of civilization building through technologies, ideas, and ingenuity. 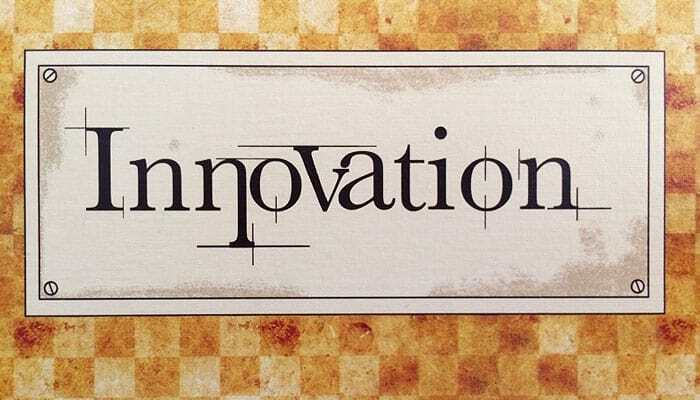 Starting in the Stone Age, you will choose the innovations that define your people's destiny through history... from the humble beginnings of The Wheel and Clothing, to Gunpowder, Democracy, and Combustion, all the way to Satellites and The Internet. Set up the piles, achievements, and create boards for two players with some age 1 cards. Good cards to use include Writing, The Wheel, and Archery. Make sure all five colors are out.